OK, the movie has been out for quite a few weeks now. I think we can finally talk at length about Infinity War’s ending … even though my co-worker already did that a month ago. Well, now it’s time to take my completely original, fantastically-written take on the ending of 2018’s biggest blockbuster. And also score a few of those relevant clicks as long as the film is still out. Let’s take a look at some of the questions that were not answered once the film’s credits started rolling. Throughout the film, Thanos drones on about “bringing balance to the universe” and how “I’m going to kill half of everyone and that should totally solve everything.” And he succeeds in his mission, snapping his fingers, turning everyone to dust. However, while we saw such mainstays as Black Panther, Star-Lord, and Spider-Man disappear, what about our animal friends? We don’t see the fate of Peter Parker’s cat or the wildlife of Wakanda. After all, Rocket Racoon is still alive and he’s, y’know, a racoon. Could that mean animals were exempt from Thanos’ wish? In the film, Doctor Strange asks Thanos what exactly he will do if he actually goes through with his plan and destroys half of the universe. Thanos replies that he will “finally rest and watch the sunrise on a grateful universe.” And, while I’m sure Thanos has a nice vision of himself kicking off his flip flops and watching the sunrise, does this mean that he wouldn’t be part of the actual 50 percent of the world that begins disintegrating? Is this more or less a loophole with the Infinity Gauntlet itself? Probably should’ve checked the instruction manual first. Won’t More Than Half The Universe Be Destroyed? So Thanos has snapped his fingers and the beloved characters you’ve grown to love over the past decade have started fading away, along with tons of civilians. But here’s the thing, considering you have a fifty-fifty chance of surviving, isn’t there a fifty-fifty chance that one of the people disintegrating is your airline pilot? Or your Lyft driver? Or maybe even your surgeon? 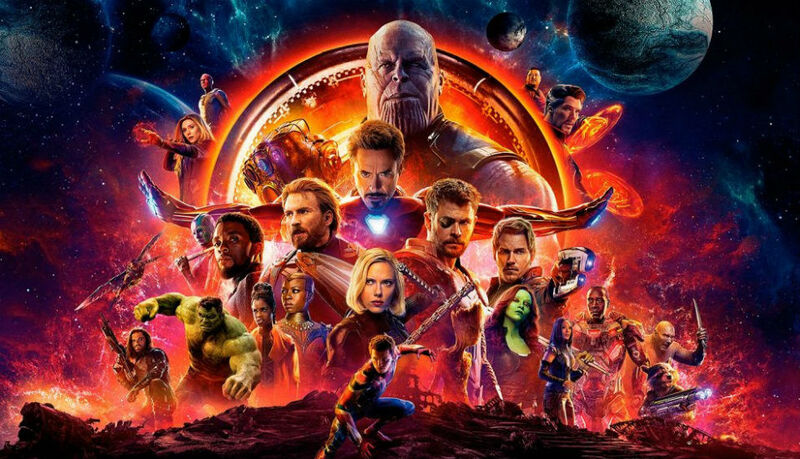 Unless the big purple guy was really specific when he snapped his fingers, something tells me those numbers are closer to 60-70 percent of humanity dying off.